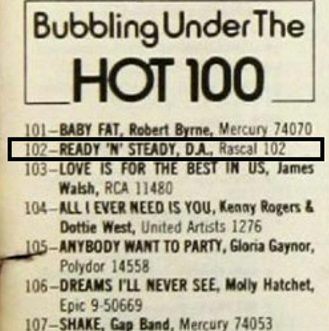 In this post from 2013, I talked about a mysterious record called “Ready ‘n’ Steady” by a band called “D.A.”. What made the record so mysterious was that it hit Billboard magazine’s “Bubbling Under” chart on June 16, 1979… but no one had ever even seen a copy of the record, much less owned one. Even Joel Whitburn – a music historian who has worked with Billboard for decades, making a career out of publishing Bilboard-based reference books – didn’t have a copy. And Whitburn owns a copy of every other record that’s ever appeared on the Billboard charts! The artists of the song turned out to be Dennis Armand “D. A.” Lucchesi (1945-2005), a California-based mortgage broker and amateur musician, and Jim Franks. Franks is still alive, and willingly gave Paul Haney (on behalf of Whitburn) a recording of the song. It was played on July 8, 2016, on the Crap from the Past radio show on KFAI in Minneapolis-St. Paul, Minnesota. According to Haney (who appeared on Crap from the Past, explaining the history behind the song), he had spoken with Franks, who told him that the song (as well as three or four other songs) was recorded in 1979 after a major label representative witnessed the band play live. 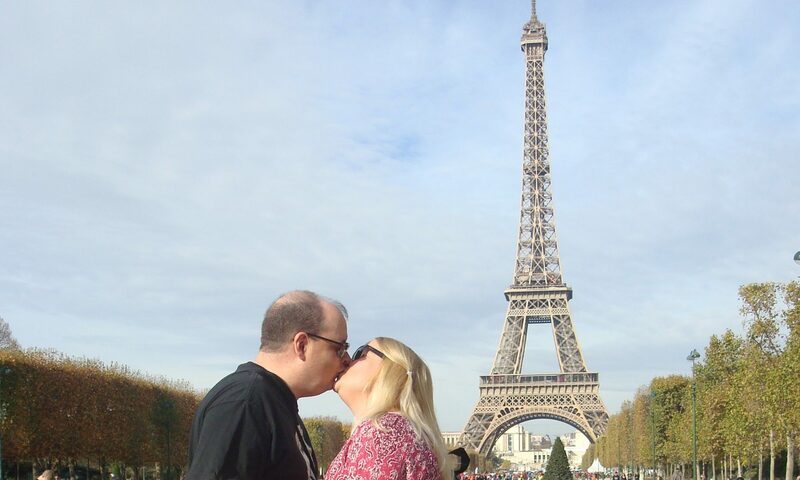 He offered the band studio time and promised that he would help the band get a song on the Billboard charts. Despite its appearance on the charts, the song was never pressed onto vinyl. Because of this, it is unknown if the song even received radio play at the time of its recording. This kind of raises new questions, though. If it was never pressed into vinyl, how did radio stations play it, and if they didn’t, how did it reach the Billboard charts? One of the big draws of Spotify Premium is that the service allows you to download music for offline listening. So if you’re going somewhere where LTE or Wi-Fi might not be available (camping) or might be expensive or slow (most airports and flights), you can save tunes to your device and listen offline. Hell, even if LTE or Wi-Fi is available, you might want to download a song anyway: if you’re one of those people who plays a track on repeat, it’s better to download a song once over Wi-Fi than use your precious data to download the same bits over and over again. I have Spotify installed on an LG G Stylo (phone), Asus ZenPad (tablet) and Amazon Fire (tablet). 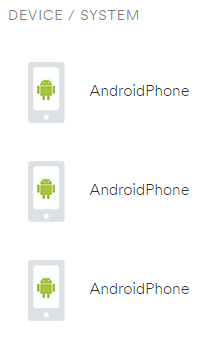 But I can’t tell which device is which, because Spotify’s programmers can’t be bothered to add a few lines of code to their app.